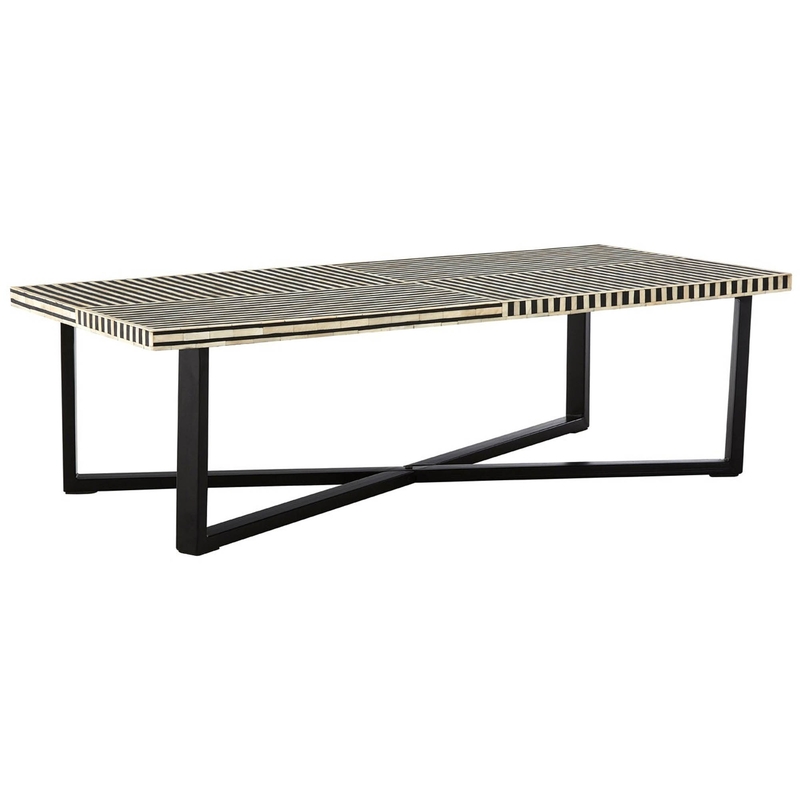 Made from metal and buffalo bone, this coffee table features a strong crossed frame which ensures durability over generations and includes a contrasting 'mother of pearl' design, making this coffee table reliable and stylish. Offering some generous table top space, perfect for proudly displaying your ornaments and photo frames or simply using as its intended living purpose. With its unique 'mother of pearl' design this coffee table is a must have for anyone who is looking for a standout piece for their home.